Who is the water villain shown in Spider-Man: Far From Home trailer? Who is the Water villain being shown in the Spider-Man: Far From Home (2019) trailer? Is that Hydro-Man or an Elemental? I saw this picture on reddit which was interesting. Looks like it could be hydro-man since the reference is there. 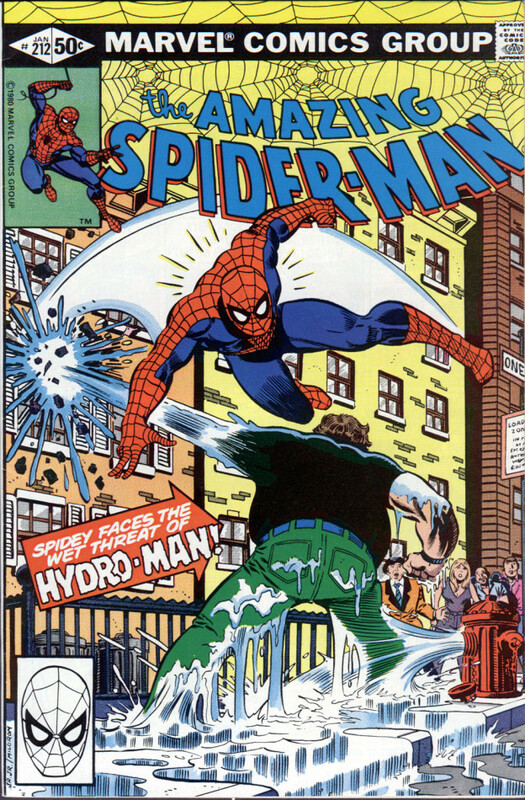 Which is likely a reference to The Amazing Spider-Man, Volume 1, Issue 212, which featured the "Wet Threat of Hydro-Man!" It's possible that the villian will be named similarly in the film. 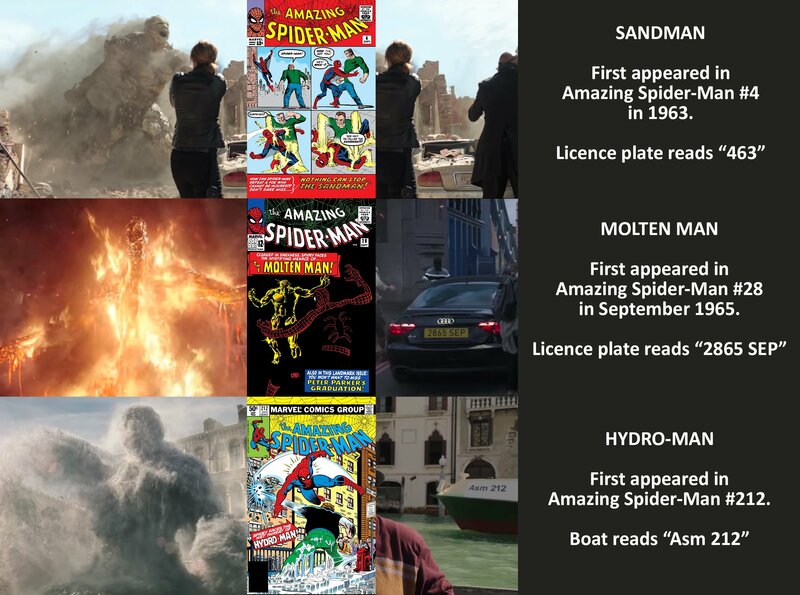 Similarly, the other villain's identity may be The Molten Man, evidenced through a number plate that refers to a Spider-Man issue, released on September 28, 1965. What we do know is that The Elementals are in it. Because... well... Who else could it be? Magnum and Hellfire for sure are shown in the trailer. And it'd be pretty confusing to moviegoers if they introduced both Hydro-Man and The Elementals at the same time. However, they have similarities and so the talk on the street is that it's going to be Hydro-Man in The Elementals, replacing Hydron. Oh, and there's also a guy called Hydro-Man who may or may not be in the mix here as well, so we'll talk about him too! (It seems likely that he has been combined with Hydron for Far From Home, or we just aren't sure which water-based baddie the film is using at this point.) ...Yes, OK, it’s going to be Mysterio at some point, surely, but before that, another enemy rearing his wet head might be none other than Hydro-Man! Given his powers, it’s highly likely that the movie will retrofit Hydro-Man into the Elementals, perhaps replacing Hydron and thus giving the team of villains a leader with a bit more name recognition. You don’t remember him either? Does that mean we have to…OK, then! Not the answer you're looking for? Browse other questions tagged marvel-cinematic-universe spider-man-far-from-home . Why was Ant-Man excluded from the Civil War trailer? What is the reason behind the multiple Spider-Man reboots? Why does Captain America chuckle when Spider-Man tells him which borough he's from? How can Spider-man lift the Winter Soldier's metal hand so easily? How can Spider-Man watch himself fighting with Ant-Man in the trailer of Spider-Man Homecoming? What is the status of the Damage Control TV show after Spider-Man: Homecoming? Were the references to substandard food in Spider-Man: Homecoming a dig at the previous Spider-Man duology? Spiderman: Far From Home - Disney or Sony Rights? When do events of Spider-man: Far From Home happen? Why was Peter Parker's passport censored in the trailer?